I do not know what to do with my life … A phrase that reflects reality so common nowadays. 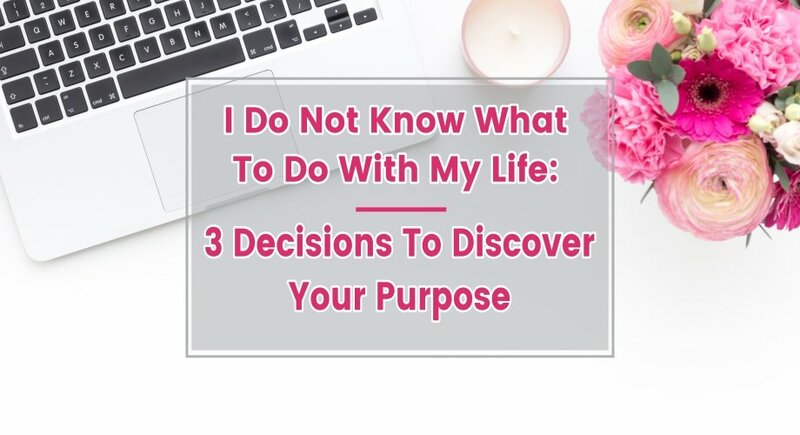 If you are in this dilemma, you can rest assured that you are not the only one, many people want to change their lives and do not know where to start. The positive of this situation, and that you ask yourself with phrases like “I do not know what to do with my life”, is that it shows that you want to improve. This existential doubt reflects that your personal growth is important to you, and this is something that many people do not they are questioned. First of all, where does this doubt come from? Regardless of the answer you give, it will be valid for your parents. It does not matter if you want to be a doctor, fireman, police or even an astronaut. However, when you grow up, things change; your future is in your hands, and that’s when you start to question yourself and say things like “I do not know what to do with my life”. And when you look at other people, you tend to think that they are on track and you do not. WHAT IS THE PATH THAT THE MAJORITY TAKES? Finish school, choose a career (and better if it is one that represents good income) as we want to learn how to be millionaires. Get a “good job,” make a specialization, and earn more money. While it sounds very simple what you just read, in reality, this summary does not take into account the sea of ​​doubts that most people have, who every day they spend repeating themselves do not know what to do with my life … thinking they are wrong, and negatively choosing the direction of their future. The good news is that successful people were not very clear about what they wanted to do with their lives. The difference is that they started taking small steps, applying a methodology known as the Kaizen Method; And while they did not always walk in the right direction, persistence and self-confidence led them to where they are today. You can be sure that success does not come with a lot of thinking. The most effective way to achieve success is by taking the first step, no matter the direction, and adjust it as you progress. If at this moment you feel full of pressure about what to do with your life, the first thing is to understand that by filling yourself with stress you are not solving anything. In case you are already anxious, here we explain how to remove stress in a matter of minutes. What would I like to try with my life first? What doubts make me more curious? You have to get used to the idea that the result is not a final point, a point of arrival. Rather it is a lifestyle that you will practice daily. The day will not come when you will say “today I found my passion”, rather it is something that you will look back on and understand. When you decide to follow someone you admire, even if it’s on Twitter, you start being part of a lot of ideas that you would not otherwise have access to. You will know what they are reading, what they are interested in, what are the relevant topics, the predictions of the future of the topic that you like, who you follow, among other things full of courage that will lead you to decide your life. You do not need to start a professional career at a prestigious university to discover what you want to do with your life and ensure a good future. Many of the people you admire, and who have achieved great achievements, have a video on YouTube, to full classes in free education platforms, where they share their experiences. You can access business courses in Coursera, Udemy or EdX. Most courses are free; you can do them in your free time and allow you to delve into those topics that you like. Among other options, you have the podcasts, audiobooks ( here you have a free trial for 30 days ) or simply go to a bookstore and buy those recommended books that you like the most. A step as simple as this can open a world of opportunities and approach the change of life. Find a friend who is in the same place as you, the company in this type of searches is essential. Especially in those moments when you feel that you are wasting your time, that you do not know if you are wrong, or want to hear one of those motivational phrases. Set goals and share them with your friends, in this way, you will have someone to support you and constantly ask you how you are doing with your search. Additionally, find a way to make an exchange, a professional practice, or a volunteer where you can experience what a job would be like in that field that interests you. This single experience will allow you to decide if this is the life change you want, or not. Finally, it is important that you keep a record of what you feel throughout this process of life change, most likely that your first interest will evolve to new ideas that arouse greater taste in you. That is why you should not stop looking, let alone be satisfied with what they tell you what your life is supposed to be. So the next time you think you do not know what to do with your life, ask yourself what you want to be when you grow up, and take the first step.